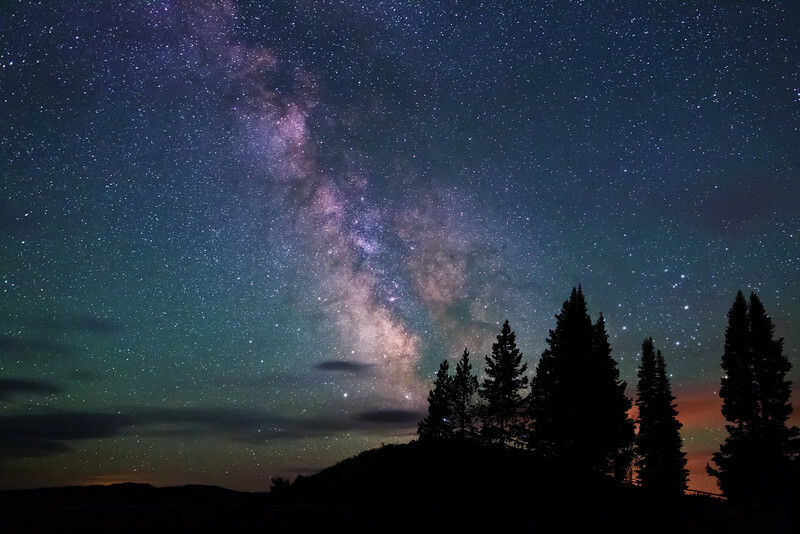 Milky Way stars over Signal Mountain lookout, Grand Teton National Park. Looking south at 1:44 AM, June 13th. Orange cloud glow between the trees is light pollution from Jackson, WY (27 miles away).